This Sabbath Sunnyside will have lots of company. We are hosting a day of special celebration of the Walla Walla University nurse’s dedication occasion. The real dedication service will be at 4:00 on Sabbath afternoon and will be held in the sanctuary. You are all invited to attend. 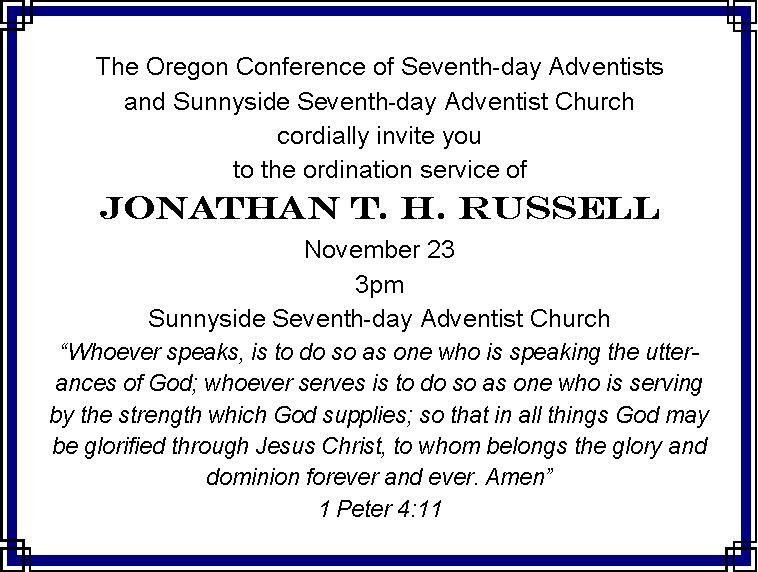 However, Sunnyside has extended to them the invitation of celebrating the event with a special Sabbath morning worship service in our house of worship. Dr. John McVay, WWU president will be our speaker and you will have opportunity to meet many of the nursing students and their parents. Come and celebrate with them! There are a couple of coming events that we need to call to your attention. The first is an agenda item for this month’s board meeting to receive a report from our Design Committee for the renovation of our multipurpose Fireside Room and our main restrooms. The goal is to have the board recommend this report to the church in business meeting, Sunday, November 24, at 6:00 pm. Watch for more details. Also, we have on our calendars another event scheduled for Sunday, December 1, at 5:30 pm, and that is our fund-raiser banquet for the funding of Sunnyside’s outreach ministries for the 2014 calendar year. Funds raised from this dinner contribute substantially to our Adventurer and Pathfinder programs, SunnyCity, VBS, our annual fall outreach endeavors, our WWU nurse’s special “bread nights,” and other projects. Please, plan to join us for this annual event. Your support is vital in that it allows our volunteer teams to start making plans for next year and minimizes the amount of time and effort they need to invest in fund-raising. By the way and speaking of food, WWU is preparing food in our kitchen for their lunch for the students and parents at the Nursing Students Residents Hall right after church. This is not a general church invitation just in case you happen to smell eats. It is their party. See you Sabbath and thanks for making Sunnyside, Sunnyside!!! Sabbath worship services are at 8:45 and 11:15 am. Dr. John McVay, president of Walla Walla University will be presenting our Bible message entitled Out of Poverty to Abundance. The floral tribute today is presented by Sharon Emery in memory of her son Randy, and husband Curtis. Welcome to John McVay, president of Walla Walla University, Terri Dickinson Neil, director of parent and alumni relations, and their families. Dr. McVay will present our Bible message for our worship services. Today is Children’s Church in the fellowship hall at 11:15 am. Children ages 4-12, don’t miss out — this church service is designed especially for you! The Sunnyside Pathfinders are selling Lumpia (Filipino egg rolls) made and donated by two of our amazing moms. They are $6 a dozen and will be available on Tuesday evenings during Pathfinders. They are the best eggrolls ever! Family Resource Network – Thanks to you who give regularly and you who give occasionally to the Family Resource Network. Your gifts have enabled us recently to help some of our family through some very difficult times. The need continues and than k you for what you can give. you for your gifts used to help numerous individuals and families this year. 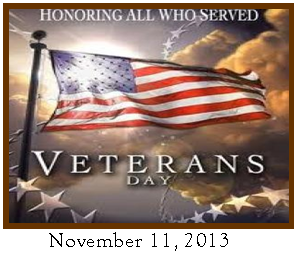 Please remember those in need; mark your contribution to account #9387, Family Resource Network. 503-252-8080. All ages encouraged and welcome! Dr. Don Hall presenting Preventive Medical Care. November 17, 4:30 pm, Sunnyside Adventurers’ Harvest Festival and silent auction. There will be a meal, a puppet show for children, and lots of fun shopping. Bring your friends and let’s help the Adventurers enjoy their fund raiser. November 24, 2013, 6:00 pm, there will be a Church Business meeting conducted in the fellowship hall. The agenda consists of discussions and decisions regarding Phase II of ReNew Sunnyside with the objective of breaking Phase II into smaller sections.